Well, as I’ve said, I’ve been very busy knitting and sewing for various people. In the last week I have knitted 1 blanket; 1 hat; 1 baby hat, mittens and bootie set; 2 other booties. I’ve also sewn 2 t-towels; 2 baby blankets and 1 soft comfort blankie type thing (hopefully these will be appearing in my shop soon). Phew! Unfortunately as they are all presents I can’t upload any photos (don’t want to ruin the surprise)! 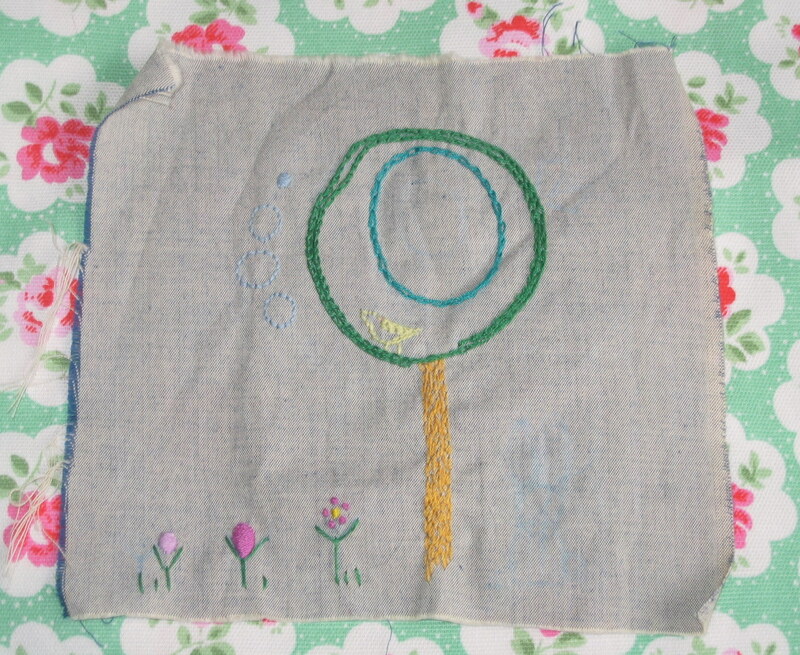 Here’s a picture of a quick little piece of embroidery I did, just to keep my hand in. It’s really a sample on a scrap of fabric – I wanted to play with a few different stitches and effects. I’m quite pleased with how it turned out, if I do say so myself!